House Cleaning Service In Ponteland Blyth Jesmond Gosforth. 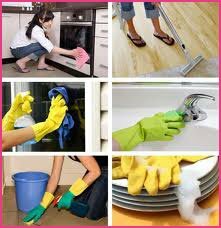 Sophie’s Ponteland house cleaning services offers professional domestic home cleaning services near you. Our cleaning company undertake all aspects of housekeeping and cleaning of residential homes. Call us now for prices and a quick free quote. Ponteland home clean case study. One of the most common requests we get comes from landlords who want a property deep cleaned before they take on a new tenant. In most cases, this is not a tremendously big job, assuming the previous tenants have kept the property in a reasonable state. But some cases pose much more of a challenge. Where a landlord has been unlucky enough to have “tenants from hell” a property can be in a shockingly bad state. This particular job was one of the difficult ones. The tenants had clearly had no respect for the property. The owner was one of our regular clients and she said that she’d never had a property left in such a bad state. This property was a three-bedroom semi-detached house in one of the city’s better suburbs. The kitchen was filthy – it looked like the tenants had never lifted a finger to clean it in the entire six months they’d lived at the house. The bathroom was no better – the tidemarks on the bath looked as if they’d been baked on, and the sink was just as bad. For reasons of taste, we won’t describe the loo in detail. The landlady had actually asked us how many days the job would take. When we said we’d be finished the job within a single day she could scarcely believe her ears. And there’s no denying that this job was a real challenge. But by mid-afternoon we’d broken the back of it and we could now move on from the kitchen and bathroom, which were both sparkling, to the living room and the three bedrooms. These rooms all had hard floors throughout and the tenants seemed to have left more than 1 dog in the property alone therefore the floors where covered in dog dirt which had be stamped on and ground in. Whilst cleaning these areas we didn’t want to soak this as this could have seeped into the cracks in the flor we carefully scraped off the thickness from 5 rooms and the hallway upstairs then after completing all woodwork, windows and walls we scrubbed each floor by hand. Before we started this clean and after we complete we set off a flea bomb each time to ensure there where no fleas lingering around. By 6pm, we’d finished the job and, as arranged, the landlady came along to inspect our work. At first she was speechless, but once she’d regained her composure she told us that she could not recognise her property compared to what it had looked like the evening before. And she said that we could be sure she’d be using us and only us for all her cleaning jobs in future. Music to our ears!